Its Thursday, glorious Thursday. I can see the weekend coming and it looks like a fine weekend to be sure. Just as fine as this collection of photos we have collected for you. 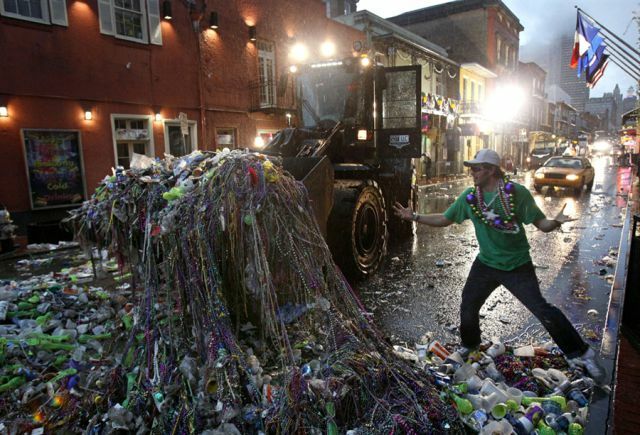 The Mardi Gras party is over, and now the cleanup begins. This front loader helps to clear the debris from the streets in New Orleans. 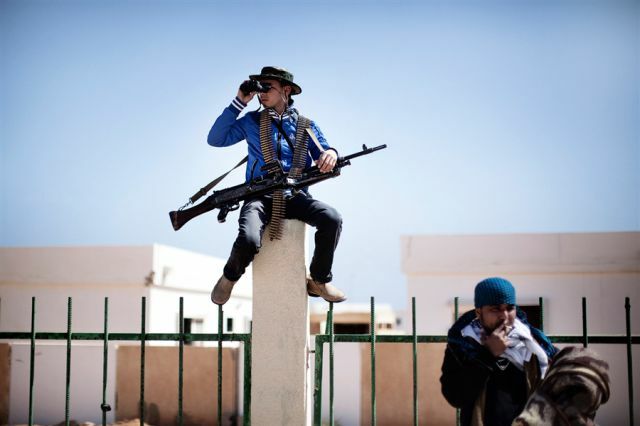 This rebel balances to use his binoculars to monitor the skies over the town of Ras Lanuf. 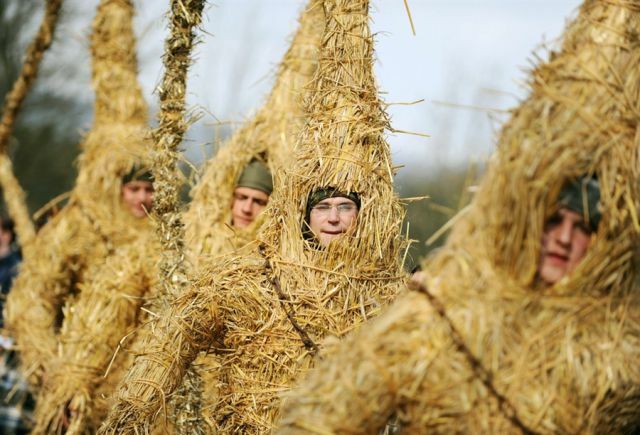 This looks like something out of Wizard of Oz, the straw man, but these men are dressed in straw bear costumes and wear chains to chase away winter in Heldra, Germany. 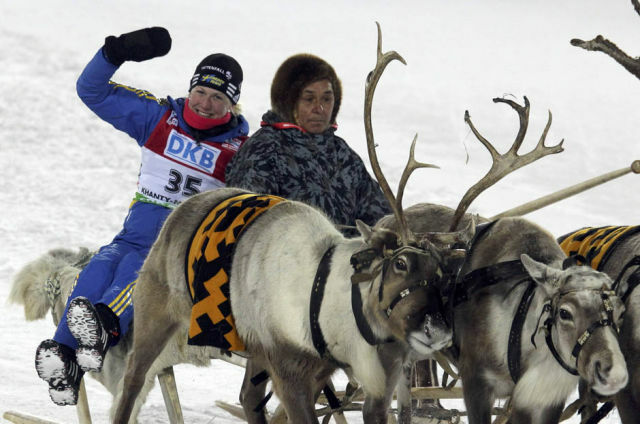 Helena Elkholm of Sweden uses a reindeer sleigh to arrive at the medal ceremony for the 15km race at the IBU Biathlon were she will be awarded the gold medal. 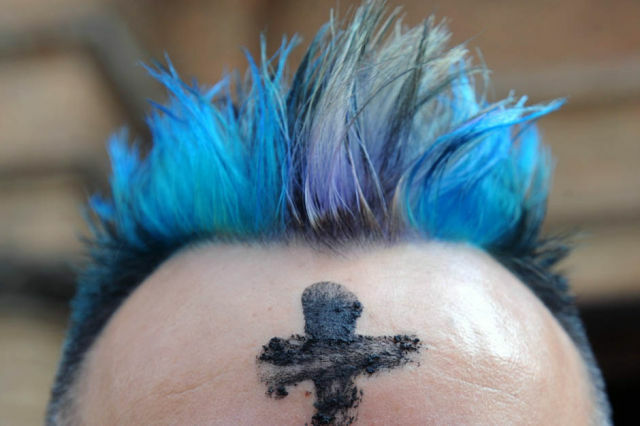 This man celebrates Ash weds at the Metropolitan Cathedral in Medellin. Refugees are waiting in the Choucha refugee camp for dinner. 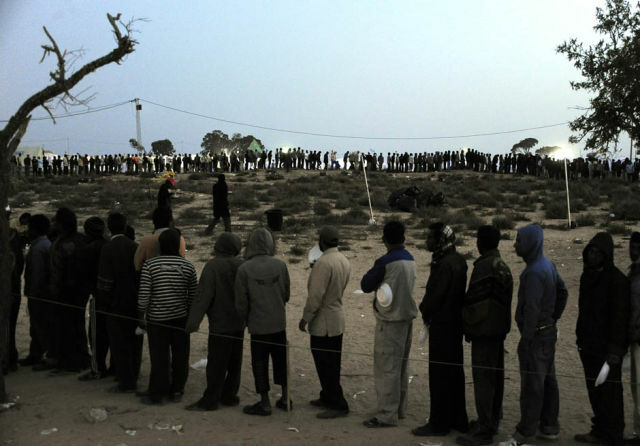 The refugees will be helped by the red cross and the United Arab Emirates as they both plan on creating camps on the border of Libya in anticipation of new arrivals. 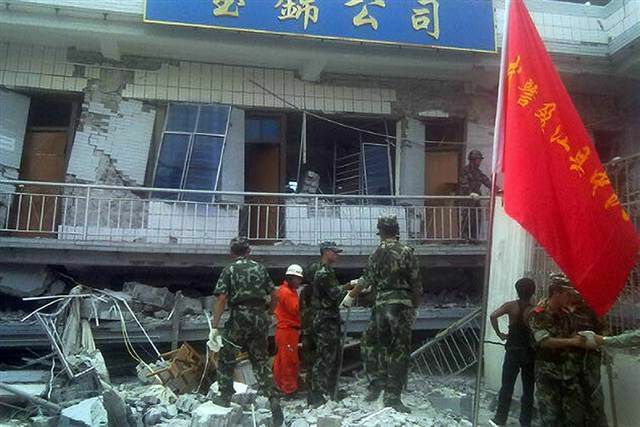 An earthquake destroyed over 1000 houses and buildings in China’s southwest near the border of Myanmar on Thursday. Twenty-four people were injured and over 200 killed during the incident. 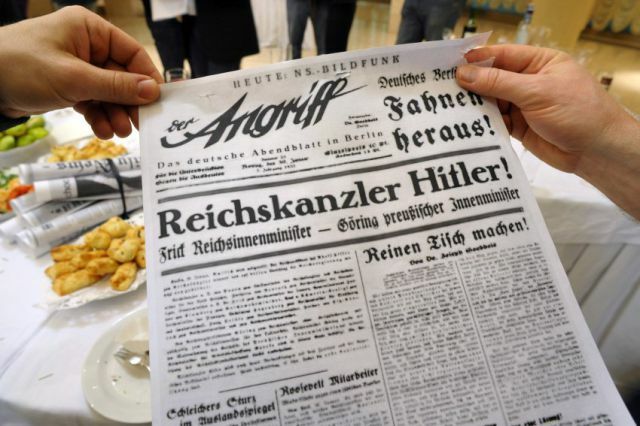 During the Biathlon World Championship reception for journalists a cute idea turned into a political headache, when someone chose newspapers from the Nazi era as part of the design. They thought it would be a neat idea to have papers from different eras, but when someone didn’t or couldn’t read German they chose the wrong papers.